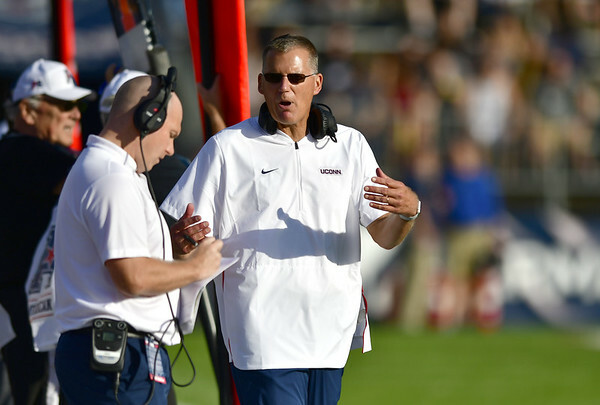 HARTFORD - A Connecticut Superior Court judge ruled Thursday that UConn did not violate the state's ban on nepotism when it hired football coach Randy Edsall's son as an assistant coach. “The parties agree that only if Randy Edsall was a ‘state employee’ on January 1, 2017 was his involvement in setting the terms of Corey's employment a violation of the (ethics statue) i.e. an illegal use of his public position to obtain financial gain for his son,” Shortall wrote. Posted in New Britain Herald, UConn on Thursday, 1 November 2018 21:01. Updated: Thursday, 1 November 2018 21:04.